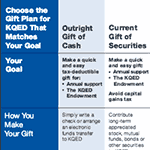 A charitable gift annuity can be established with a gift of $20,000 or more to KQED. In exchange for your gift, KQED will pay you, and a second beneficiary, if you wish, income for life. 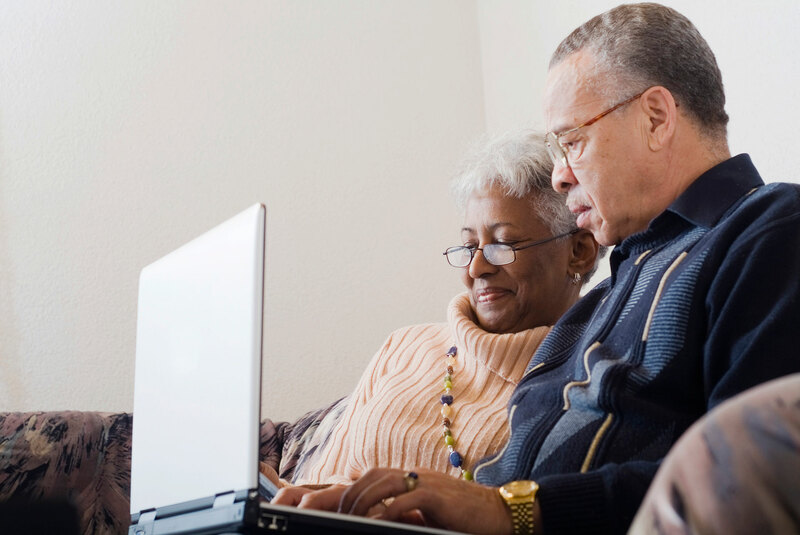 Income beneficiaries must be at least 65 years of age at the time their payments begin. The income you receive is determined by the amount of your gift and your age(s). See our Gift Annuity Rates Table (PDF) for rates at specific ages, or use our Gift Annuity Calculator (below). With a deferred gift annuity, because the payments do not begin until a specified future date that you choose, you receive even higher life income payments than those listed in the rate table and a higher immediate income tax deduction. Gift annuities can be established using cash or appreciated securities held for longer than one year. When cash is used, more of your income is tax free. To request a brochure on charitable gift annuities and/or to receive a personalized illustration of the financial benefits of establishing a charitable gift annuity, please complete our request for information form or contact us.